As you know, exterior advertising can be accomplished in many attention-getting ways. One of the up-and-coming forms that many advertisers prefer is vinyl wrap. If you are a Vinyl shop, you may want to consider including vinyl wraps in your product line to offer your customers. SignIndustry.com recently interviewed two key players in the industry segment of vehicle wraps. Ken Barnaby of Superior Graphics and Bill Corio of Shadow Graphics have diversified their shops with success by providing their customers with quality vinyl wraps. Ken Barnaby, President of Superior Graphics, located in Howell, New Jersey, began doing vehicle wraps about three years ago as an addition to his existing vinyl sign shop. Barnaby was asked to consider providing vehicle wraps when a division of Sony records approached him. Sony wanted him to apply vinyl wraps of newly released album covers to Suburbans. Barnaby found that with little retooling, he could put out the vehicles in just a few days. For a job that required the vehicle to be ready for a Thursday show, Barnaby could receive the vehicle on a Monday and have it ready on time. Barnaby’s work, prior to expanding into vinyl wraps, included providing standard vinyl signs, vehicle lettering and real estate signs. 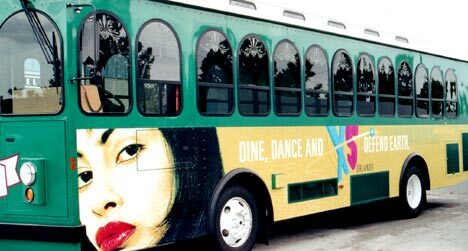 These services are still offered by Superior Graphics, but the addition of vinyl wraps provides more depth to the company and customers tend to stay with a business that can provide for all their needs. The biggest challenge Barnaby faced in preparing to provide the wraps was machining. After some careful homework, he found the perfect fit. He now uses the Gerber Edge II Technology to provide large-scale stunning graphics for his customers. Barnaby recalls that “finding the right tools for the job prevents many headaches”. Barnaby could now focus on providing for his customers. Another challenge Barnaby faces is trying to produce vinyl wraps for some of his private customers who don’t always have the artwork available. “A customer calls or comes in and says ‘I want to have this or that done to the vehicle’, but they don’t provide us with any work at all. We have to design it ourselves by trying to read the customer’s minds”, says Barnaby. Barnaby says that about 15% to 20% of his sales now come from vehicle wraps and most of his new work is coming from Internet sales. Some of his clients include Sony Music, Columbia Records, Epic Records, Ford Motor Company, and The Special Olympics. Superior Graphics offers complete packages from design to completion for race vehicles, trucks, cars, buses, and storefronts. Shadow Graphics is a full-service sign and graphics company located in Orlando, Florida. The president of the company, Bill Corio, states that they have been in business for over 25 years. 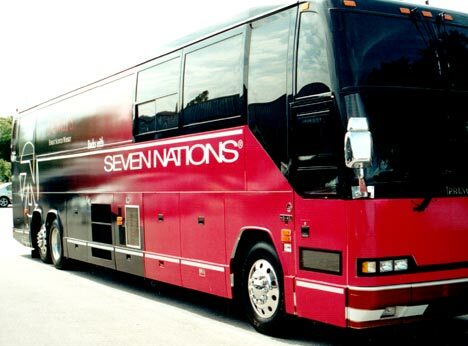 They have provided vehicle wraps for the past 11 years. 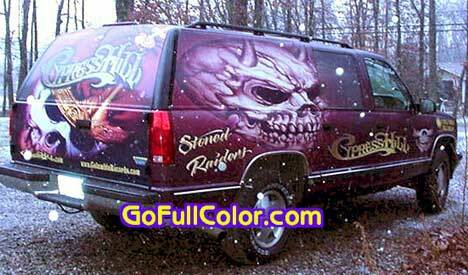 About 30% of Shadow Graphics sales come from vehicle wraps. Shadow Graphics work is on a larger scale of vehicle wraps. Since Orlando is a tourist destination, much of the advertising is geared to reach the many visitors to the area. Corio states that his biggest challenge with the vehicle wraps is with employees. Finding qualified employees or training new employees takes up a lot of his time. Vehicle wraps can provide for a nice profit and your work is automatically advertised. However, if the job is not completed by the desired deadline or the wrap is not applied properly, your reputation can be ruined quickly. Corio has found that once he has trained his employees, keeping them can be the next challenge. The Orlando area is one of the fastest growing areas in the nation. Vehicle wraps can be seen everyday on everything from Beetles to Buses and advertising everything from Disney World to Bails Bondsmen. Corio has to be careful to provide his employees with incentives to stay and not run off to the competition. Fortunately, Shadow Graphics has been doing vinyl wraps long enough to have established themselves and they have a secure reputation in this field. Corio does not have to spend much advertising his work and receives about 3% of his business straight from his website. If you provide it, they will come! If you are considering getting in to this segment of the industry or are interested in diversifying your business, do your homework. Find out if your shop is set up for vinyl wraps. Do you have the necessary machinery? Are you and/or your employees trained for this type of work? Find some shops that have successfully ventured into this field and ask them for advice. Most sign professionals are willing to share information because they are confident enough in their work to not fear you as competition. Consider the advertising you will have to do to attract your customers to this form of signage. Once they know what you can do for them, they will buy from you, but you will first have to educate them. 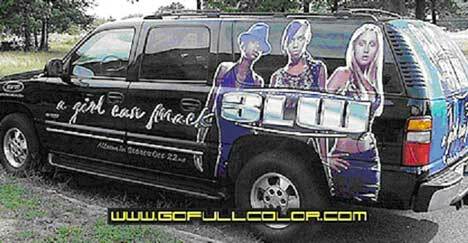 Create information packets to let them know that vehicle wraps attract people’s attention. Gather the latest statistics of vehicles that travel in your area and sell your customers on the fact that “moving billboards” will be seen over and over again. Educate your customers to the fact that vehicle wraps are noticeable and they even look better from a distance. Vehicle wraps make great "brochures," as long as viewers have sufficient time to review an offering's benefits. Armed with this information, your customers now have another alternative for their signing needs. Added to your menu of other quality products and services, vinyl wraps will yield more customers and repeat customers. Vinyl wraps require careful handling and effective design is achieved through simplicity, clarity, crispness, and balance. The material must fit the vehicle's contours and retain its good looks for a long time. Customers expect it to retain shape and color for years, unless they can afford to have vinyl frequently reapplied. Warranty work can be very costly for wraps, so be sure to do it right the first time. Adjustable, heavy-caliper or laminated vinyls can make wraps easier to install, but they may increase the probability of early separation along contours and cut edges. They don't handle strain as well as high-performance, 2-mil cast vinyl with a permanent adhesive. Effective removal of a wrap depends on your skill, supplies and equipment, and the type of film you're using. Usually within two years of application some removable films can be maneuvered. After two years, it's more difficult to remove, especially in warmer climates. Vehicle wraps is one of the gems in the industry that can still provide a good profit for your shop. It will likely continue to grow in popularity with improved production, printing methods and expanding uses. By focusing on the customer’s needs, giving attention to the message's effectiveness, film selection, surface preparation and proper application, vinyl wraps can help you to continue to survive through any future blips in the economy. Check back for the upcoming series on Vehicle Wraps over the next few months.